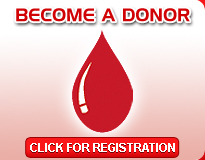 May I help you in regard to learn more about blood giving? Follow these following links to get your required information. What if I develop an infection after I donate? What if I feel faint when I get home? If you have another questions or want to learn more about blood, blood donation procedure, about donors etc then please send us your query by using our contact us link.